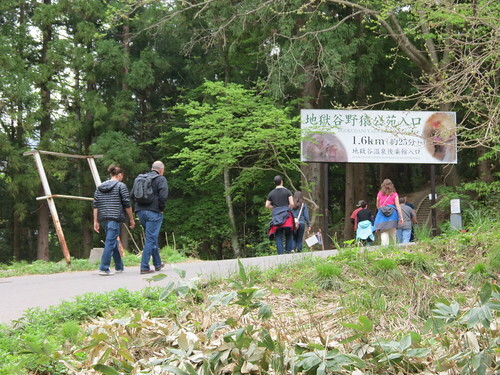 On May 15th, I paid my second visit to the Japanese macaques at Jigokudani Monkey Park (地獄谷野猿公苑) in Yamanouchi (山ノ内) near Yudanaka Onsen (湯田中温泉) in Nagano Prefecture (長野県) (read about my first visit in 2011 here). Famously known as ‘snow monkeys’, I wondered if the monkeys would be as appealing without the snow. They were! To get to the monkey park you have to walk along this mountain pathway. The first time I went to Jigokudani I thought this path was pretty treacherous in the snow, but it wasn’t half as bad in nice weather. I couldn’t help myself. Monkeys are fascinating subjects to photograph. They’re so human-like, and there’s so much expression in their faces. Having visited twice now, in two different seasons, I can honestly say Jigokudani Monkey Park is one of my favourite places in Japan, and I would happily go back for a third visit. The monkeys do look better in the snow, and more of them bathe in the hot spring when it’s cold, but whatever time of year you visit I can’t see how anyone could be disappointed! Thanks! They are, aren’t they? I spent so much time just looking at them and taking pics! The monkeys are so cute! Definitely winter is the time to visit the Jigokudani Monkey Park. A better option for summer is the Arashiyama Monkey Park in Kyoto, which does have beautiful views. 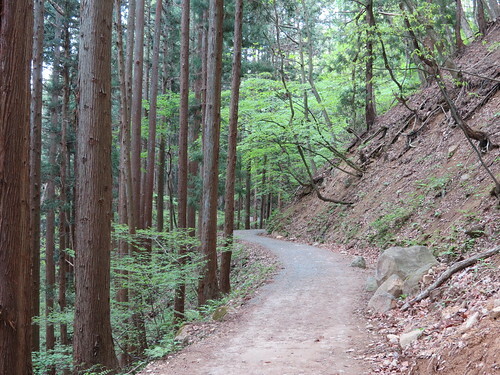 I haven’t been to the Arashiyama Monkey Park yet – will have to go sometime! I have always wanted to visit here! The closet I have come is to visit our cousins at the Monkey Center in Inuyama. But as they are in a zoo it isn’t quite the same thing. 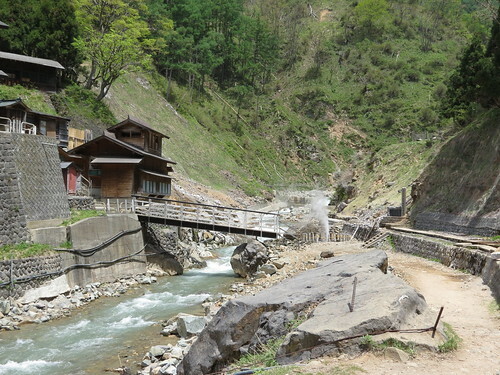 Yeah, when I went in March 2011 there was still snow and a lot more monkeys in the onsen. I’d love to go in the middle of winter!